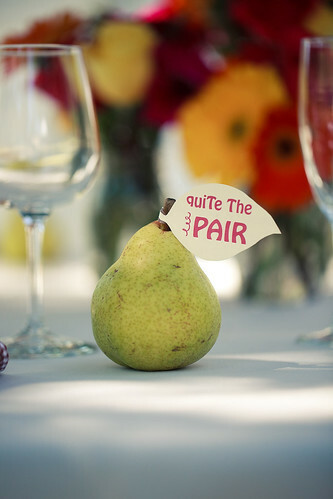 Being that our wedding was in the middle of a pear orchard, it made complete sense to me to incorporate pears into our wedding. What better way than on the tables as the gift for our guests! They act double duty as decor and gift Unfortunately we had a late pear season last year, so the ones on the trees were far from being edible by the end of August. 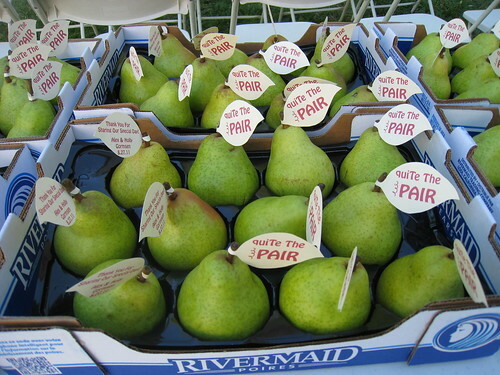 Luckily I was able to find a great deal on pears by the flat at Costco, and we were able to pick them up at the same time we grabbed all the flowers the day before the wedding. 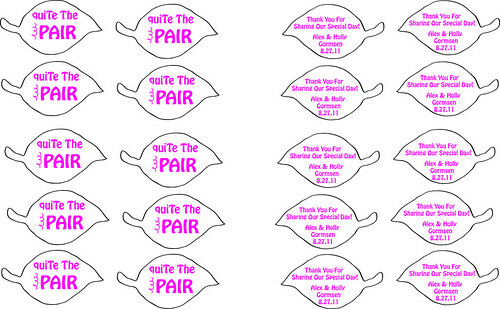 Once they were each cut out, my mother-in-law and sister-in-law were kind enough to glue a leaf to each pear’s stem so they were ready to go on the tables the next morning for our wedding. Such a cute and easy wedding guest gift to incorporate the outdoor orchard into our wedding!